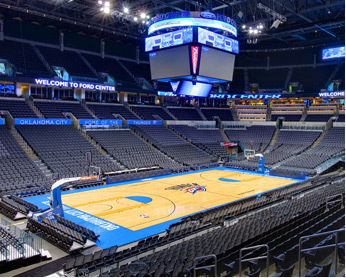 Are you planning a flight to Oklahoma City? Then give Charter Flight Group a call to arrange a private charter into the city. With over 30 years experience in providing the finest private air in the business, CFG specializes in safe, professional service with every flight.For this reason, we have implemented several features to our corporate strategy such as using only the best and most professional flight crews in the world and retaining only the best safety consultants to assist us in keeping our fleet options in pristine condition. Avoid the long waits in airport security and the crowds in the terminals with your own private charter jet flight to Oklahoma City. One of the hallmarks of Charter Flight Group has been a firm commitment to flight safety for it is our belief that unless a jet flight is safe and reliable, nothing else matters. Wyvern and ARG/US are regular visitors for we know that with these two world-class research groups assisting us, we not only exceed all FAA regulations, but also exceed our customer’s expectations. Another hallmark of CFG is our commitment to providing our private charter clients with exactly the right jet or turboprop plane for their needs, when they need it. We offer on-demand charter service, so we must have all aircraft available and ready at all times. For instance, if you need something small, we can provide any number of private charter light jets such as a Cessna Citation class jet, a Boeing Business Jet, or any other in between. Finally, we also provide round-trip private jet flights, one-way private charter jet service, and even empty legs to countless destinations worldwide, not just Oklahoma City, Oklahoma. 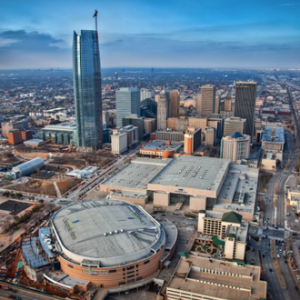 On booking your private jet charter to Oklahoma City, CFG’s friendly and knowledgeable private air consultants will give you a choice of several locations in which to land. For instance, you may wish for your private flight to land at Clarence E. Page Municipal, which is located 15 miles from the business district of Oklahoma City to the west or you may prefer Sundance Airpark, also to the west, but slightly north and just outside the John Kilpatrick Turnpike, which circles Oklahoma City to the north and west. Another that you may choose flight to is Wiley Post Airport, which is situated a bit closer to the heart of Oklahoma City, between Lakes Hefner and Overholser, inside the Turnpike. Finally, the most popular airport in Oklahoma City is the Will Rogers World Airport, situated to the south of the city along the I-44/I-240 merger. To get to downtown, it is a short ride north on I-44. Of course, with an airport named for a famous Hollywood cowboy, one would expect some kind of interesting venue of this sort and Oklahoma City does not disappoint. One of the favored attractions in the city is the National Cowboy and Western Heritage Museum. Then, along the lines of modern cowboy, there is the 45th Infantry Division Museum, the largest military museum in the nation. In addition, the National Stockyard Exchange is an incredible site for any city-slicker, as the Oklahomans might say. And lest we forget, be sure to visit Will Rogers Park during your stay in Oklahoma City.As for those traveling to OKC on business, of course, the city that bears the distinction as being the fastest growing city in the world at one time (when founded during the great land rush, the city grew from 0 to 10,000 in a matter of hours), has become a diverse metropolis. A hallmark of Oklahoma City from decades back has been oil and live wells still dot the city, even downtown and alongside the Capitol buildings. However, other sectors playing a major role in the Oklahoma City’s economy include information tech firms, health care, administrative services, and the military. We have been serving private jet charter clients for so long because we know what our clients want and we give it to them. We know that busy corporate clients simply want a smooth and comfortable luxury flight with on-schedule arrivals. We know that those choosing private charter jets for personal flights want safety and luxury. We know that those who book private jet charter flights want service that goes beyond their expectations. And we know that private charter flight client’s who receive what they want, return again and again.